Here’s another in Corgi’s long-running 1:50 scale ‘Vintage Glory of Steam’ series, and it’s well up to the standard set by others in the range. 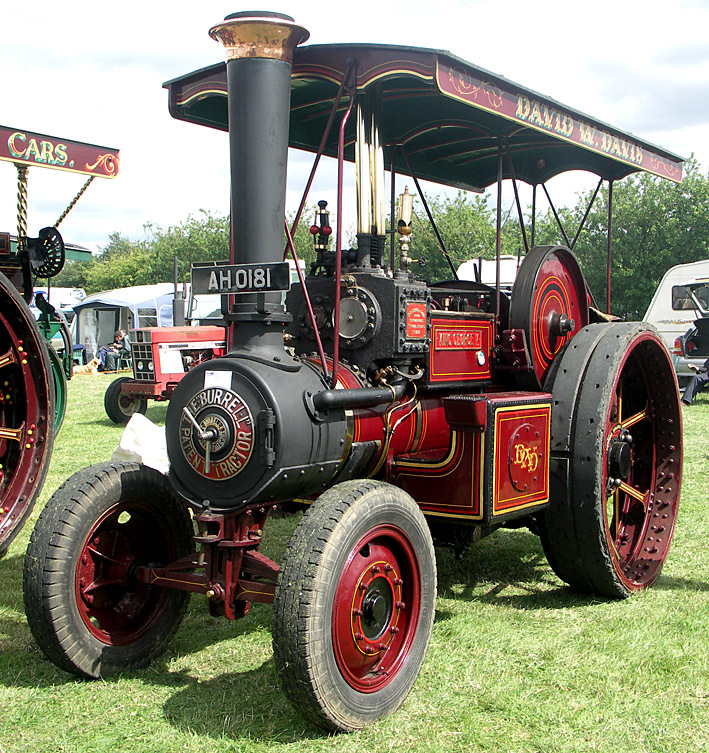 This one is the Burrell 7 NHPP DCC Works No 3159, a road locomotive delivered to Anderton & Rowland in 1909, to haul A&R’s fairground machinery and exhibits around south-western parts of the UK. 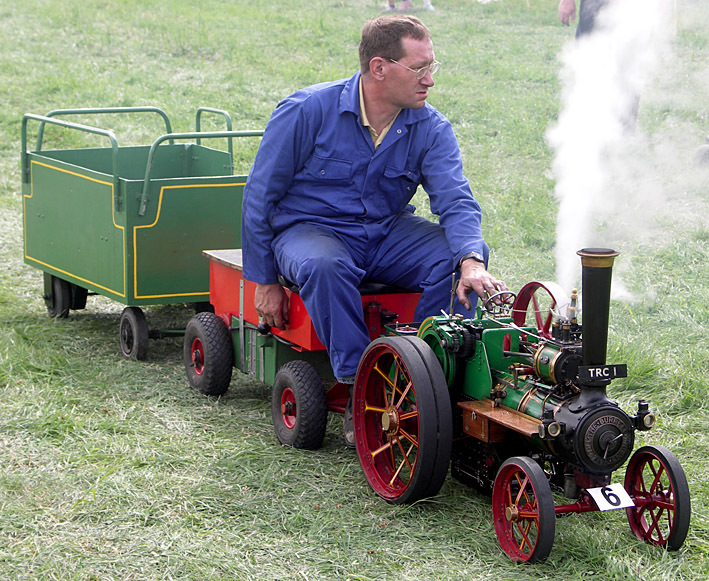 Steam power is a real nostalgia-inducer these days, with summer steam fairs giving owners and public a chance to revel in these huge monsters of times past. Of course, they were not all huge beasts - as you can see in the pic above, there are plenty of scale models around, complete with a working engine for reduced-scale fun. Cheaper on the coal needed for the furnace too! These machines were built to work, and hard too. 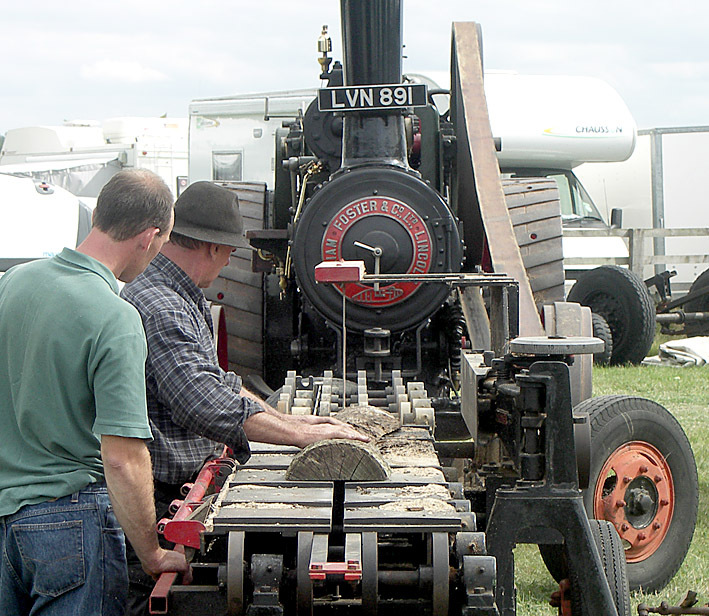 A long leather drive belt enabled owners to supply power for almost anything required, from sawing logs and threshing grain to hauling fairground stuff and, by adding a heavy steel roller on the front, you had a roadroller. This flexibility made them highly useful machines, though like metal dinosaurs, they become more than a little slow and cumbersome for the changing conditions of the early 20th century. By the mid-1920s, a typical traction engine had become far more expensive to run than a truck with an internal-combustion engine. 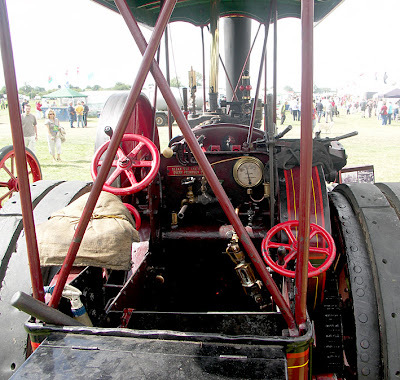 Have a look at some traction engines here. Note there’s a discount on Corgi’s price. 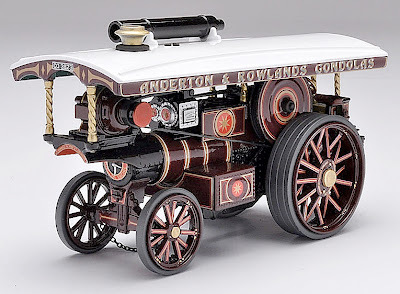 1 Corgi Anderton & Rowland Showman’s traction engine. 2 Working small-scale replica, roughly 1:10 scale. 3 Controls of a full-size engine. 5 Using a leather belt to power a sawing machine. CASH IN THE ATTIC WITH OLD DINKY TOYS?